I’m a huge fan of snacks! 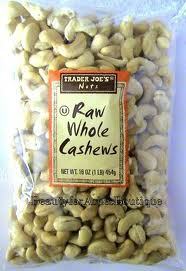 I try to keep my snacking on the healthy side most of the time, but then I have my moments when I indulge :). 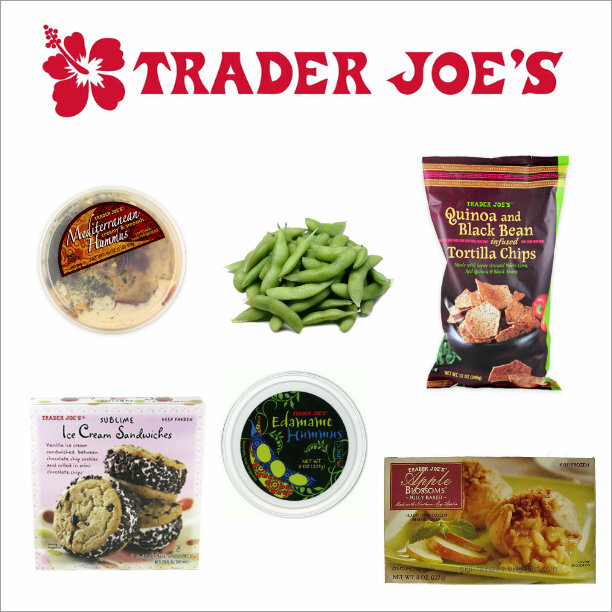 Here’s a list of my favorite snacks and desserts from Trader Joe’s, some are healthy and some are not so healthy ;). 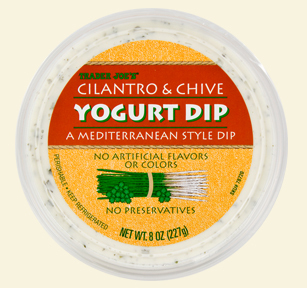 I especially love dipping raw veggies in the dips I’ve mentioned below. Feel free to share your own favorite snacks and desserts. 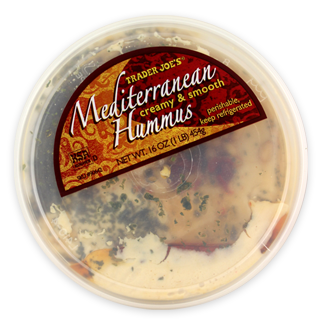 Mediterranean Hummus (great for dipping – crackers, chips, veggies). 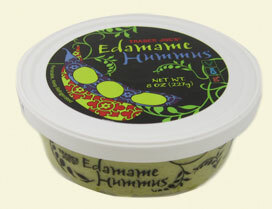 Best store bought hummus ever!!! 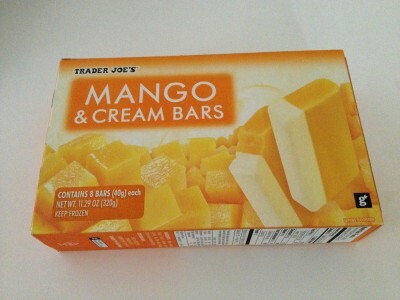 Mango and Cream Bars. Best frozen fruit bars!!! 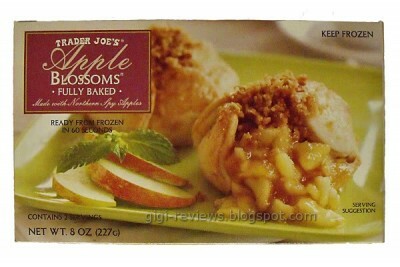 Apple Blossoms with (Trader Joes’ French Vanilla Ice Cream). These taste like fresh little apple pies. So delicious!!! 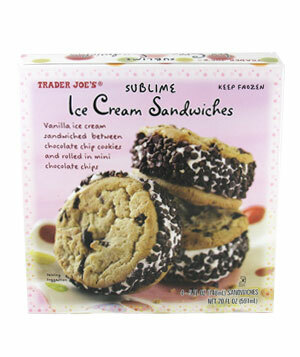 Sublime Ice cream Sandwiches. Best sandwich cookies ever!!! That ice cream sandwich looks so good!!! It’s the best ice cream sandwich I have ever had!!! I cant keep cashews in the house for very long, and dont get me started on blue corn tortilla chips with any type of hummus!! Instant SNACK ATTACK!!! Right Crystal!!! None of those things stay in my house very long either! Thank you for sharing corelle. I need to try that soy chorizo! The dried mango with chile…damn, damn, DAMNNN!! Still, I’m grateful I’m back in a city with a TJ’s. My last house was two HOURS away from the nearest one. I would go once a month and load up! LBell…Lol…you sound like me when I go in TJ’s on a mission to find a certain product, when they don’t have it I’m all disappointed and trying to figure out when I’ll have the time to go back :). Angelina…OMG…I need to try those!!!!!! LOL!!! 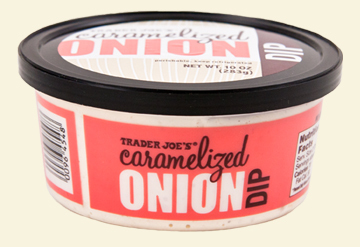 I absolutely love the carmelized dip! Their dark chocolate power berries with acai, cranberries, pomegranate, and blue berries are amazing! Hmmm. 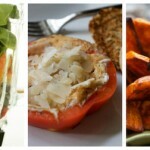 Their sweet potato ruffle chips are the bomb too! As you can see I shop there too much. I just made a delicious homemade veggie pesto pizza with Trader Joe’s whole wheat pizza dough. Delicious! 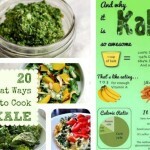 Mmmm…Nakia I need to some of those foods you mentioned :). I need all of these snacks in my house right now. When I looking to satisfy my sweet tooth in a healthy way: Chocolate chip cookie dough Lara Bar. Looking for something salty: Sour Cream &Onion Nut Chips. Thank you for sharing this with us Nikisha! 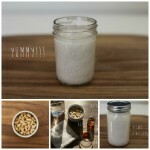 Your welcome and thank you for sharing your go to snacks Antoinette! Those sublime ice cream sandwiches look DIVINE and I would love to trek to the journey of the center of those cookies, lol. Looks so yummy! 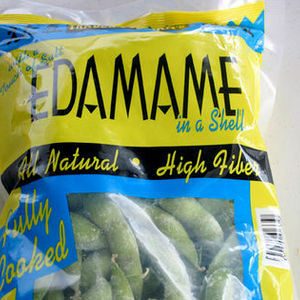 On a healthier note I love edamame, cashews and dried fruit. I’ve been really big on sesame bars, I bought a bunch with me to Macedonia. Lol…the journey to the center of both of those products is a trip you will take and never look back! They will have you hooked!!! I need to try those sesame bars :). GIrl those Apple Blossoms are amazing…their carrot cake is awesome as well!! 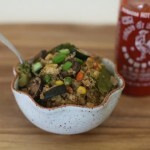 this is making me hungry and tips to get on my next trip! Their sugar snap peas with any of their varieties of hummus is deeelish and healthy! 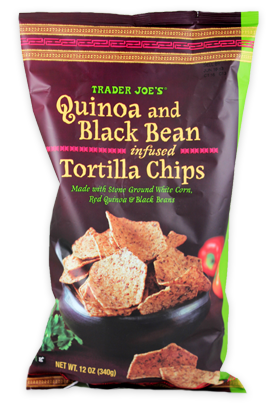 And I love their taco dip with spicy flaxseed tortilla chips.the dip isn’t healthy but..the flaxseed chips are a good balance lol. Organic Trader Joe’s Brand Plain Greek Yogurt (or Vanila flavor, if you have a sweet tooth) with their already peeled Pomegranate seeds mixed in. this is perfect timing! 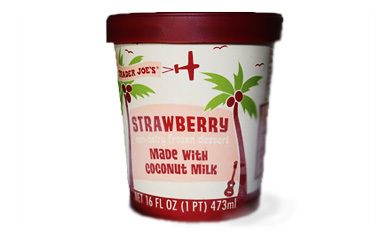 trader joe’s finally opened where I live and I’ve recently stopped by but was sort of confused as to what to buy since everything is pre-packaged. I just randomly picked up something and LOVED it which really encouraged me to do more research and try more things. Thanks for this list! Will be using the recs in comments also.. Awesome!!! 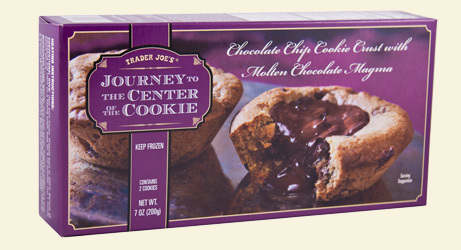 I’m glad this was able to help you out for your next trip to TJ’s. I hope you enjoy roo08!! !